“Honoring #JackieRobinson today! 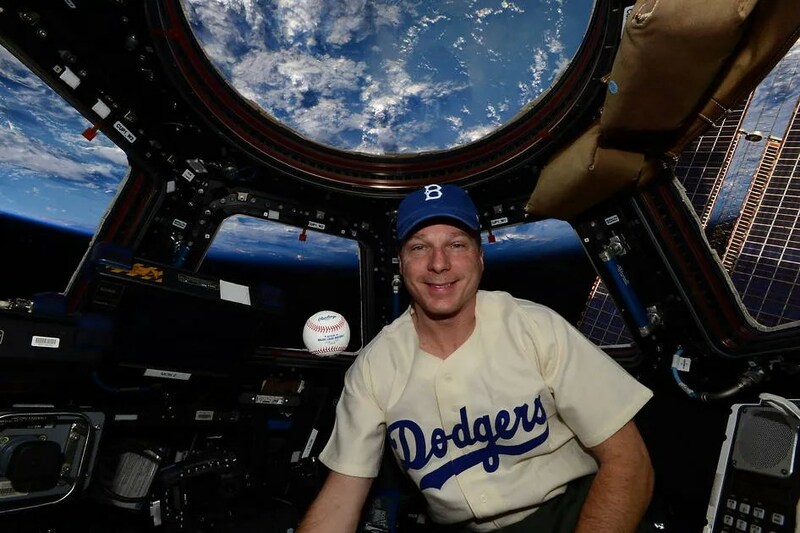 #42” wrote NASA astronaut Terry Virts, wearing a replica Jackie Robinson jersey on orbit in the cupola of the International Space Station. April 15, which was baseball’s opening day in 1947, has now come to commemorate Jackie Robinson’s memorable career and his place in history as the first black major league baseball player in the modern era. He made history with the Brooklyn Dodgers (now the Los Angeles Dodgers) and he was inducted to the Baseball Hall of Fame in 1962.